STATE CAPITOL, PHOENIX - Rep. Albert Hale, D-St. Michaels (District 7), recently implored the Holbrook Unified School District to allow a student, who is working to complete her coursework this summer, to participate in her graduation ceremony. Hale said he recently spoke with a family whose daughter will complete her required coursework this summer. Under the current district policy, Hale said she will be barred from graduation ceremonies. Hale sent a letter to school district officials asking for them to consider a similar policy. 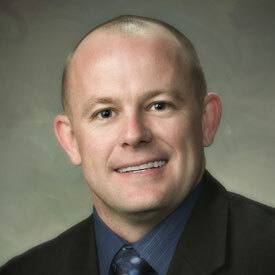 STATE CAPITOL, PHOENIX – House Minority Leader Chad Campbell, D-Phoenix (District 24), released this statement after the Arizona House of Representatives passed bills designed to improve the state’s child-safety system. “This week our Legislature continued the task of reforming Arizona’s child-safety system. The legislation we passed created the framework and funding for the new Department of Child Safety. The bills are designed to correct the issues that overwhelmed Child Protective Services. “While this is progress, it will take time for the new agency to work through the nearly 15,000-case backlog. Also, prevention and support services still aren’t receiving enough resources to curb the growing child-safety caseload in this state. Unless we invest in prevention and support services now, the new agency will suffer the same failures as CPS. “Earlier this year, Arizona House Democrats proposed a budget that included $193 million for child safety and other health and human services programs. That was a more realistic budget for addressing the issues that plague our child-safety system. “Unfortunately today, Democrats lost the fight to get additional funding for childcare subsidies for working families, for grandparents caring for their grandchildren, and for Families First, a substance abuse treatment program. For years, support and prevention services have suffered drastic budget cuts. Without these services, more families faced situations that required attention from CPS. This trend will only be reversed by prioritizing the programs that help families avoid crisis. Also, we must ensure that there are always enough caseworkers to manage the caseloads as children continue to enter the system. STATE CAPITOL, PHOENIX – Rep. Albert Hale, D-St. Michaels (District 7), recently delivered a keynote address on tribal transportation and economic development at the 2014 National AASHTO Civil Rights Subcommittee Training Symposium. AASHTO, American Association of State Highway and Transportation Officials, along with the Arizona Department of Transportation hosted the symposium which focused on collaboration with Department of Transportation stakeholders to advance civil rights programs and to provide an opportunity for officials to discuss specific topics regarding transportation. Hale noted the importance of collaboration between state and federal transportation agencies and Native American transportation agencies. In Feb. 2013 a landslide caused Highway 89, which runs through the Navajo Nation, to collapse. The damaged highway required immediate action that led to federal, state and tribal officials working together to create a bypass route while coming up with a long-term solution to the damaged Highway 89. For more information on the symposium, go to: http://www.centennial.transportation.org.